Salmonberry School Celebrates Crystal Anniversary! It’s been fifteen years since Salmonberry School opened its doors. That means it’s time to celebrate a crystal anniversary! And crystal seems to be an appropriate metaphor for the school at this stage of development. 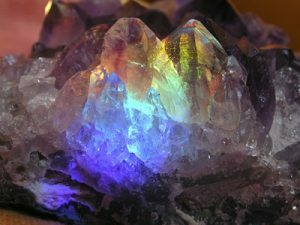 Crystal is a material with luster and sparkle. And after fifteen years in Eastsound, Salmonberry School is surely shining. This summer Salmonberry was proud to offer 17 different thematic summer camps for children age 3-12. Together these accounted for almost two hundred enrollments including homeschooled kids, Orcas Island School District enrolled kids, Salmonberry enrolled kids, Orcas Christian School kids and kids from all the island preschools, as well as a large number of off-island visitors. This was by far Salmonberry’s biggest and broadest palette of camps to date and included Farm Camp, Sewing Camp, Earthways Survival Skills, Music Camp, Messy Hands Art Camp and so much more! Salmonberry would like to thank all of those who joined in, even if just for a week. What a spectacular summer it has been! For the 2016-17 academic year, our three multi-age classrooms are each either full or approaching capacity. Parents report that their kids are happy and engaged and genuinely look forward to school. And kids echo this sentiment! Webster’s Dictionary also says that “crystals are organically growing substances with many faces that are formed as the substance solidifies.” Salmonberry too continues to organically grow and solidify and this year will even be adding a couple of new “faces!” Salmonberry welcomes new faculty members: Andrea Lavezzi and Jessie Gonzales. 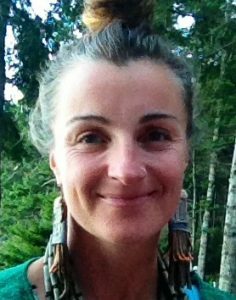 Andrea, who joins our 1st-3rd grade class has been a lead K-12 teacher on Salt Spring Island. She also spent several years as a lead Art and English teacher in Oroville, CA. She currently holds a WA state teaching license. She is the mom of 5 yr old, Kingston. Jessie, who will join the preschool-Kindergarten class has been working in early childhood education for several years. 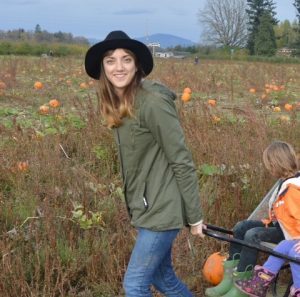 She recently taught at Children’s House and most recently at the Orcas Montessori School’s summer camp program. She has also been working at The Funhouse. She is well known and loved by many island kids and families! Returning teachers, Linda Ellsworth, Linda Henning, Kari Van Gelder, Emmy Gran, and Paul Freedman as well as music teacher, Tom Rawson and Spanish Teacher, Laura Black are delighted to be back for another year creating magic with our island kids. When teachers love school, kids love school. And when kids love school, amazing things can happen! Happy Crystal Anniversary Salmonberry. May the next fifteen years continue to witness growth and excellence, as you provide a quality holistic educational option for our island’s young people!